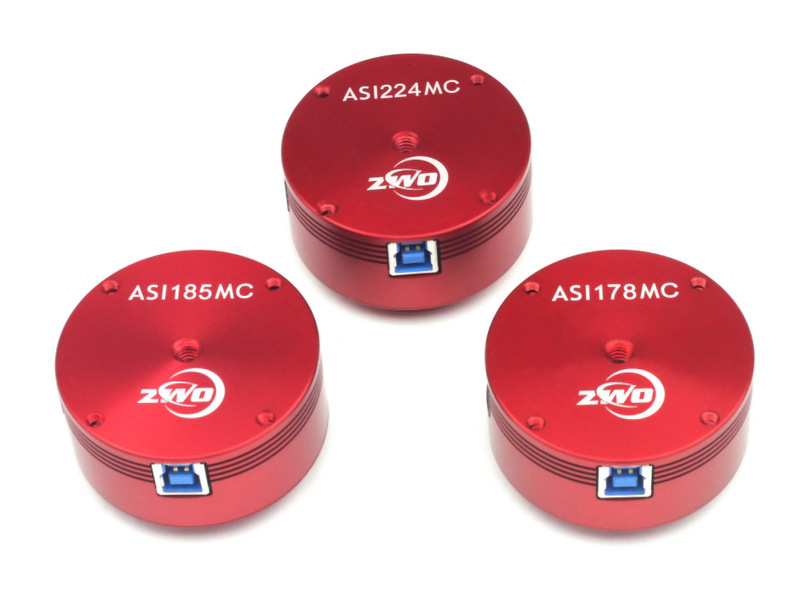 ASI178MC has a 1/1.8″ and 6.4M pixels sensor IMX178 with SONY STARVIS and Exmor R Technology. 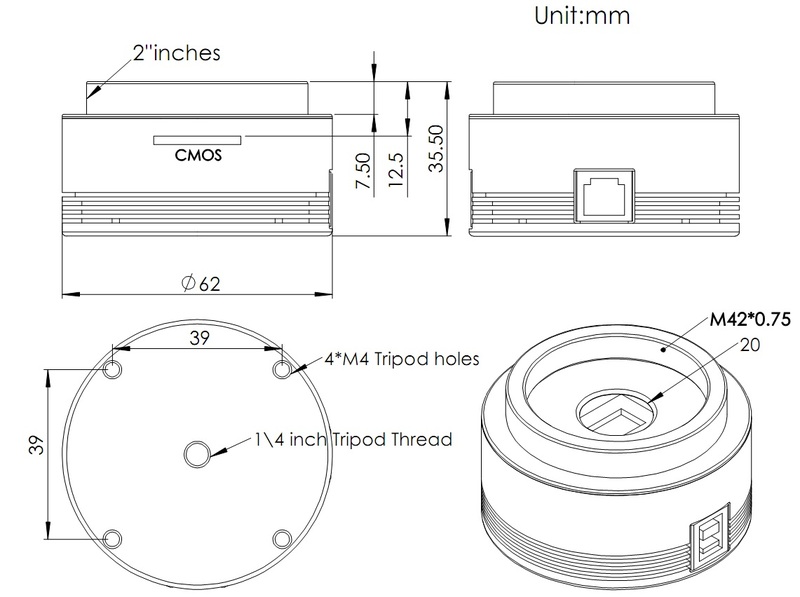 Back-illuminated CMOS Image Sensor with 14bit ADC. 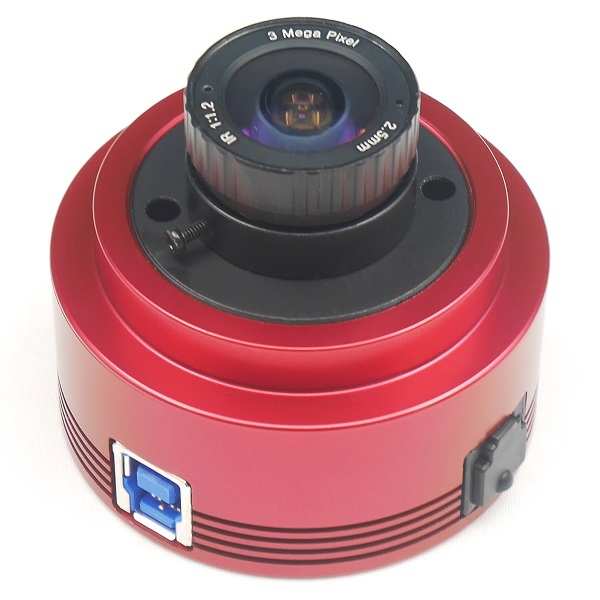 ASI178MC has a 1/1.8″ and 6.4M pixels sensor IMX178 with SONY STARVIS and Exmor R Technology. 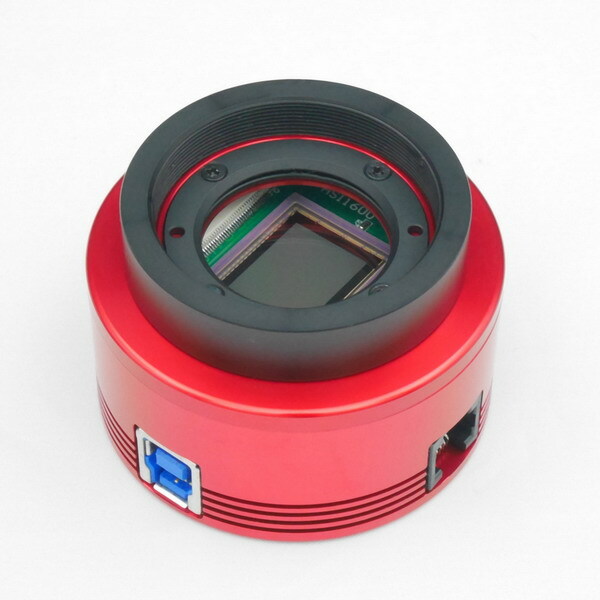 Extremely low read noise(1.4e-2.2 e) , 1.4e @27db, high sensitivity and 14bit ADC make it very suitable for astronomy and microscopy high resolution photograph. 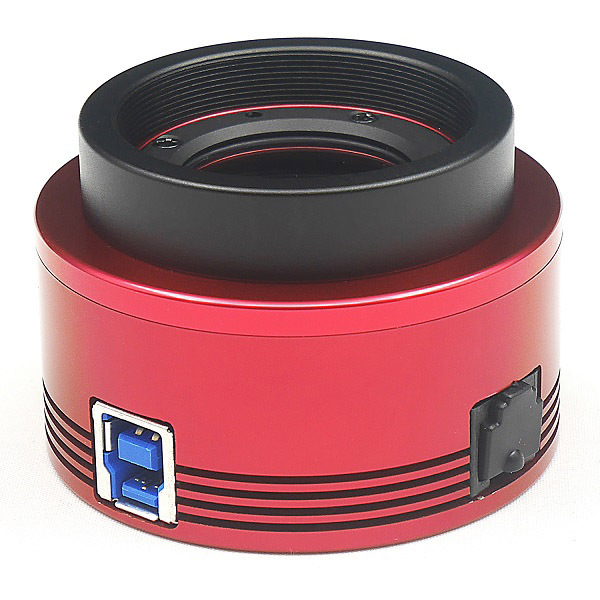 USB 3.0 Port: can provide 5Gb bandwidth to let ASI178 run at 30 fps (14bit, normal mode) or 60 fps (10bit, high speed mode) at full resolution(6.4Mega). ST4 Port: can be used connect with auto guide port of mount, for guiding. Come with a 2.5mm all sky lens which can provide a nearly 170° view of the sky. 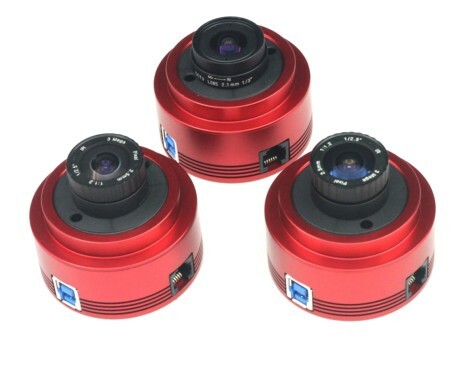 So the ASI178MC will work well as a guide camera and a planetary camera? I want to guide through a 80×400 guides open and do some planetary imaging through a 254×1000 cf Newtonian and was wondering if this is a good choice or what you would suggest. I was thinking of colour not mono and like the high res and FOV for this camera.. Can you use 2×2 binning on a colour camera and how does this work with the Bayer filter? I have this amazing camera! Is it possible to remove the IR bloc filter in order to do IR imaging of planets? How well will this camera work in a vacuum? The things to know would be how much heat is generated and can the heat be conducted away using the threaded connection on the back? Also, is there any danger from arcing inside under vacuum conditions? Sam Hello , I am interested in this ccd for planetary and guided with a finder opening 50mm , you think it is feasible to guide such a small opening and this ccd color or will I need more openness. OK, which AR protect window is compatible with this camera? The “ZWO D21 AR protect window” for $16.00 or the “ZWO D25 AR protect window” for $18.00 or the “1.25 Low profile Clear filter ASI Camera Protect window” for $20.00? The ASI178MC is not listed in the descriptions of these items. Another question: With the AR window installed, would the IR Pass filter work with the camera or is the IR sensitivity too low compared to the Mono version (for which the IR pass filter is recommended)? Is there a big difference in the IR sensitivity of the 178MC with AR window compared to the 178MM or 224MC? Can the IR-Cut window be replaced with AR window instead to increase IR sensitivity as in the ZWO 185 & 224 models? 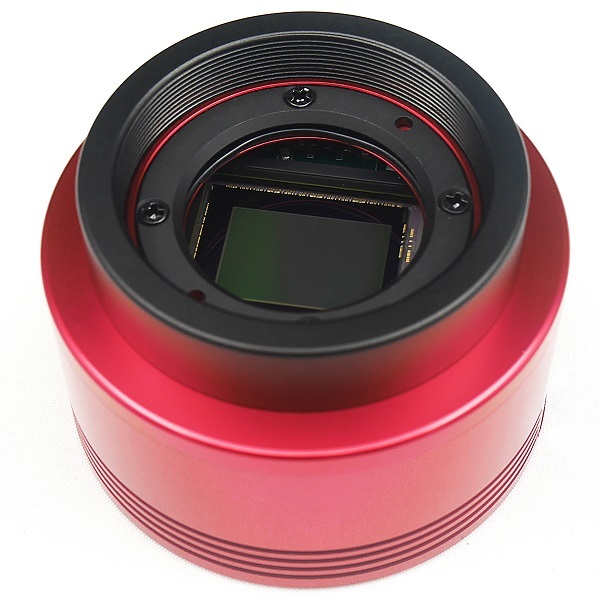 According to specifications this color camera is already equipped with an IR-CUT window, while the monochrome version has an AR window. 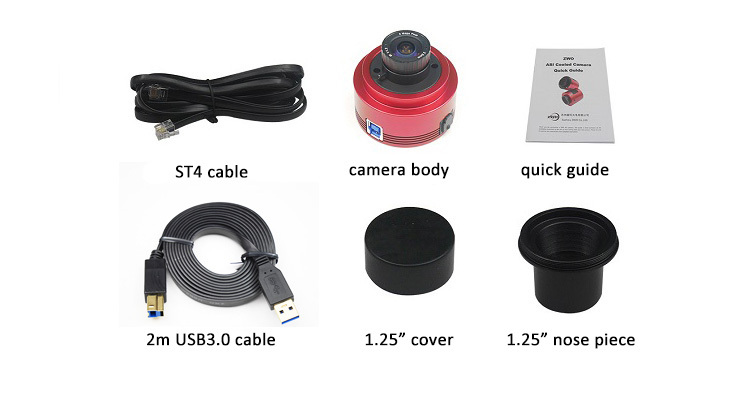 However, for both cameras the IR-Pass filter and UV-IR-CUT filter are listed as recommended accessories. How does the IR-Pass filter work with the color camera if it already has an integrated IR-CUT window? Or can the window be replaced with a clear AR window? Does this camera need a separate IR cut filter? Is the 178MC suitable for planetary with a 1200mm scope? I recently purchased a new ASI178mc for the main purpose of solar imaging. 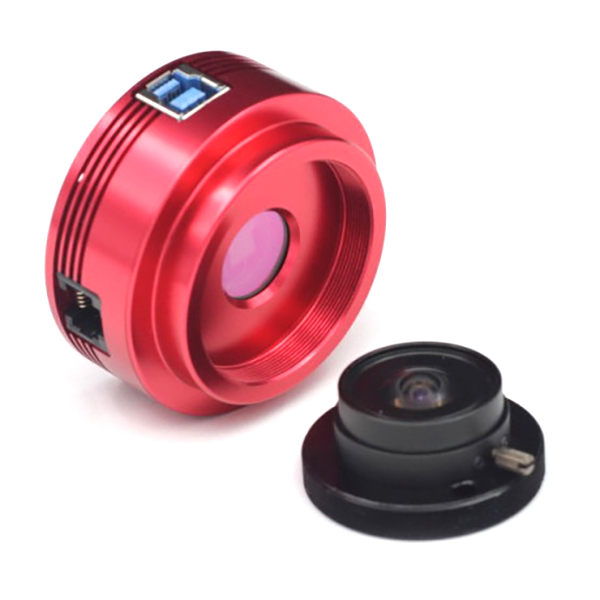 Is this cam as suitable for solar imaging as other ZWO cams? Hello! When I select resolution 1280*960 – I have resize image from full resolution, or crop central area of matrix in limit 1280*960? Hello, I received today my ASI178MC which was very well protected. A very beautiful camera. I would like to know if I can make of the autoguide and videos at the same time? 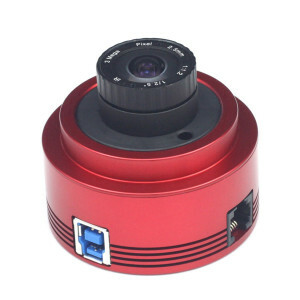 Hi..Will this camera fit a 1.25″ focuser on a telescope? Do you have any estimate of the frame-rates speed difference when connected to a USB 2.0 port? 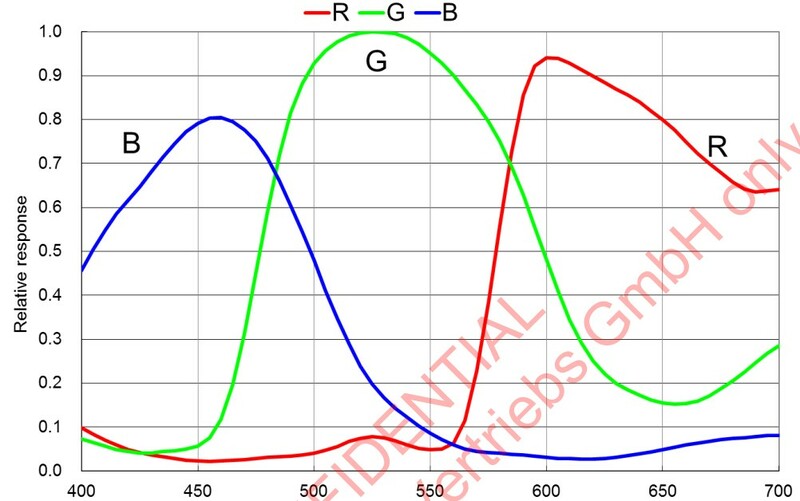 The sensitivity graph of the ASI178MC says the full-well-depth is 14.9ke- and the minimum gain is 1/(0.229e-/ADU). It follows that the full-well-depth after the digitizer is at least (65066 + black_level) ADUs. However, the camara has 14bits resolution, which means full-scale is only 16383 ADUs. Can you resolve this contradiction? 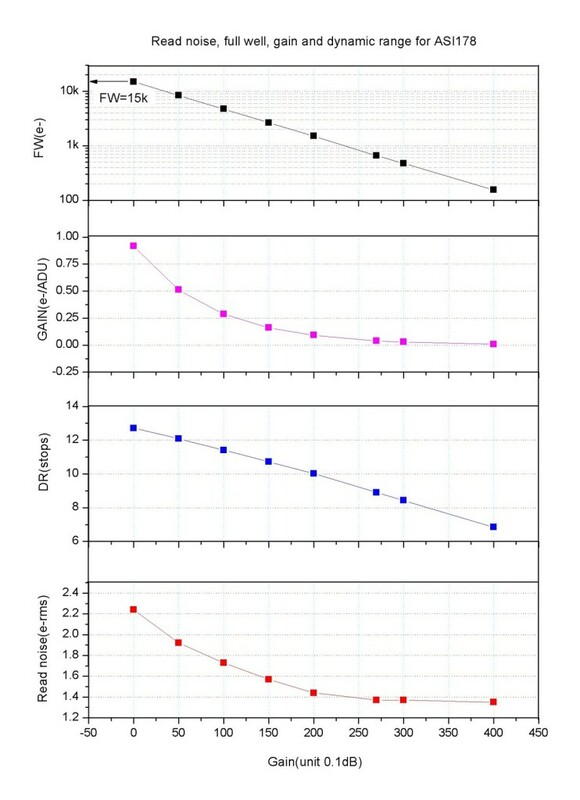 Do you have absolute quantum efficiency numbers in (e- per photon) – not just relative? Does the ASI178MC have an internal frame memory? If not, how are horizontal stripes avoided that occur when rolling-shutter-sensors are not read-out at absolutely constant speed? Reason for the question: while capturing, my computer has also other tasks to perform, like controlling the mount; so the computer alone can’t guarantee exactly constant readout-speeds. Last but not least: you say that your USB3.0-cameras work also with a USB2.0 controller in the PC when used with a MacIntosh, i.e. they are backward-compatible. Is that also the case when the ASI178MC is used under WINDOWS XP? Also with ASCOM-driver? Also if full resolution is used? I am aware that the frame-rate will be significantly reduced in this case, but I hope that there are no other effects. 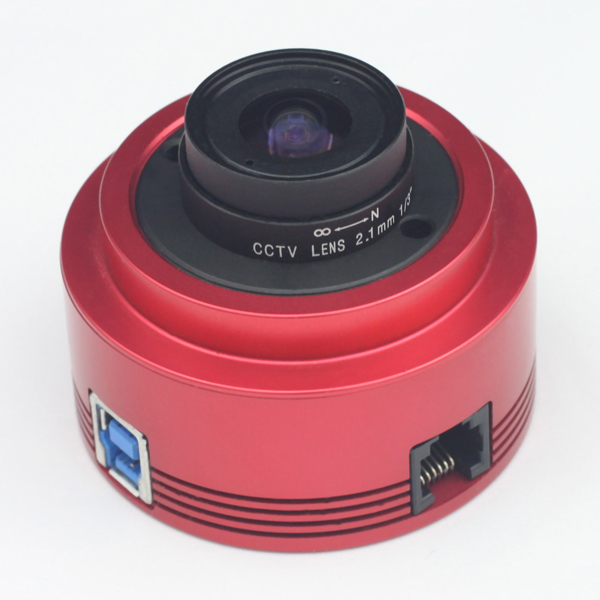 Which binning modes (other than 1×1) are supported by this ASI178MC (color) camera? 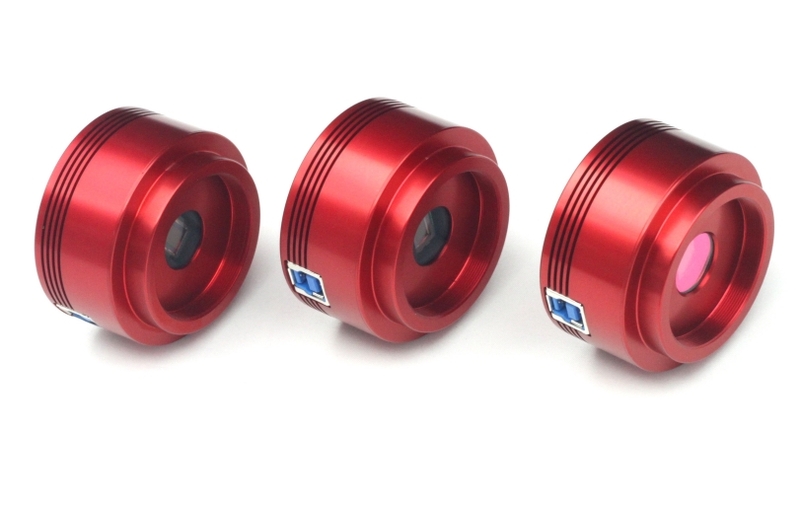 Is there an estimate of when the cooled version of this camera will be released? excuse me, i have buy the wonderful ASI223, i know the sensitivity is 0,005 lux…and this camera how many lux ?